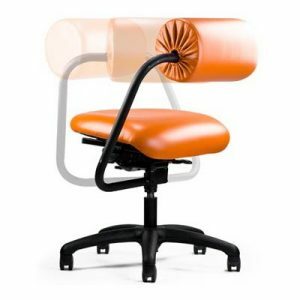 Dental offices are highly specialized professional workspaces that demand unique equipment. The heart of this workspace is a dental operatory, a room where the dentist examines and treats patients. 1) Limited space – In the limited space of an operatory, not only does all the equipment like dentist chair, dental delivery system with all the hand pieces, patient chair, cabinetry, X-ray machine, displays need to fit but they need to fit in such a way that the movement flow of all the agents starting from the dentist to the hygienist, technician and the patient is smooth and fluid. 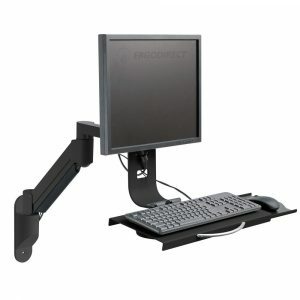 2) Monitor mounted – A monitor must be mounted on a wall or desk. It must be appropriately mounted and adjustable in the line of sight of the patient, so that the dentist can pull the monitor close to the patient to share information and/or x-rays. Many operatories, especially the pediatric ones, have monitors installed on the ceiling for children and even adult patients, so that they get distracted from their treatment. 3) Dental chairs – Dental chairs need to be strong, sturdy and still possess a small enough footprint for the operatory. A dentist needs to lean in for long hours to work on the patient’s mouth. Sit Stand Arm for Dental Offices – This wall mount arm has a 33” horizontal reach, 20” vertical lift and a side-to-side, pan movement of 62”. Fitting a monitor up to 27”, this arm can mount a monitor that can show his or her dental information and/or X-rays to the patient. 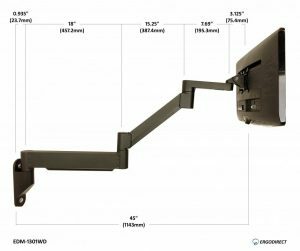 Long Reach Monitor Arm for Dental Offices – This product is a variation of the above with a similar reach – 34” – but a vertical lift of 13”. 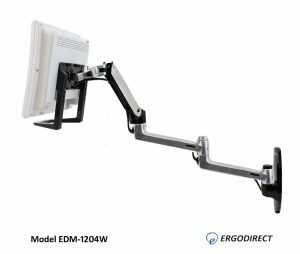 Fitting a smaller monitor of up to 15”, the EDM-1204W also has a handle at the bottom of the monitor for effortless movement and placement. 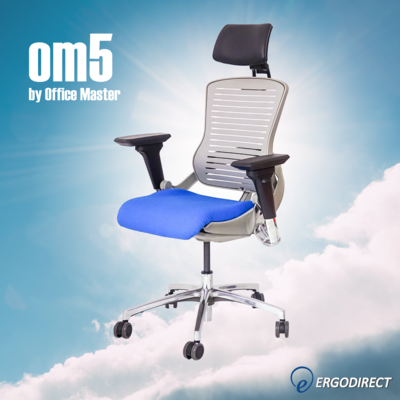 Neutral Posture AbChair – This chair comes equipped with a stomach rest or a back rest (depends on how you use it). While leaning forward, pull the pillow in the front so it supports the stomach and the back. This is ideal for the dentist, who has to lean in to work on the patient’s mouth. However if you are a lab technician, swivel the pillow behind and rest your back against it, if you need to examine x-rays or films. Innovative Data Entry Monitor Arm with keyboard tray – Essentially a data-entry arm, the Innovative 7509 is well-suited for hygienist and technician to record the patient data or information as and when the dentist examines the patient. 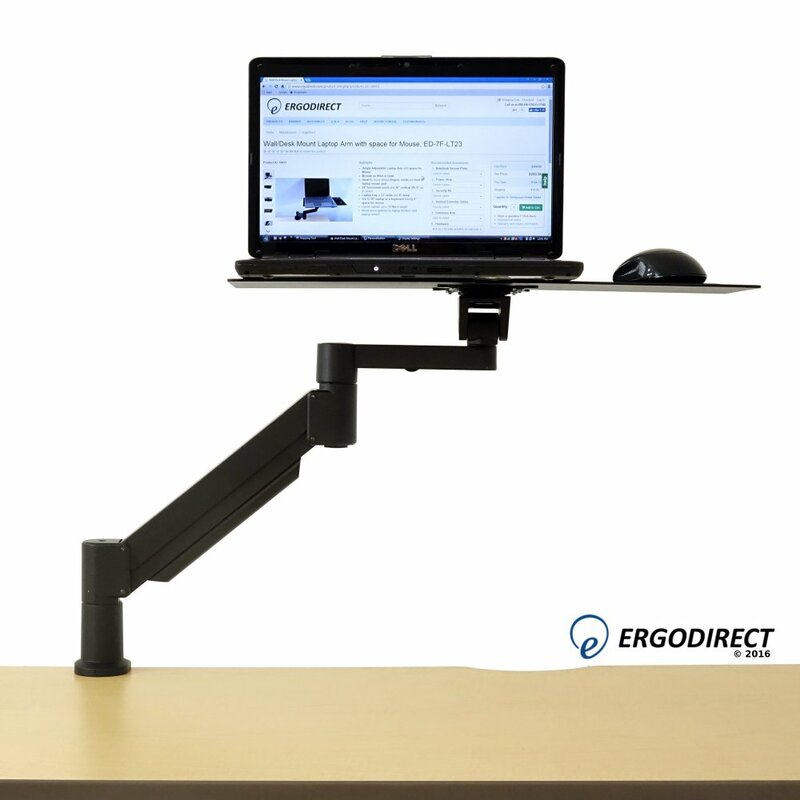 With flexible mounting options, depending upon the operatory’s layout, this arm can be mounted on a desk, wall, with various options within it. 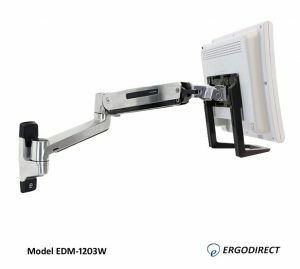 Extra Long Reach Wall Mount Monitor Arm – This monitor arm with a 45” reach will also work as the monitor mounting option for an operatory or even as digital signage. 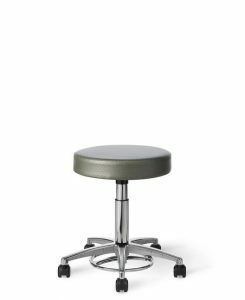 Office Master CL14 Healthcare Stool – With a hands-free, foot activated height control, the CL14 is designed for dental and medical offices. 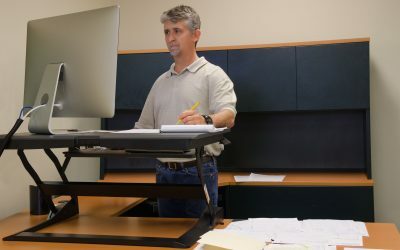 Hands-free control is especially important in this environments that demand sterility. 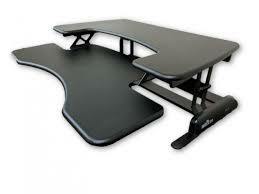 This one of a kind laptop arm is ideal for dental office administrative staff and technicians. 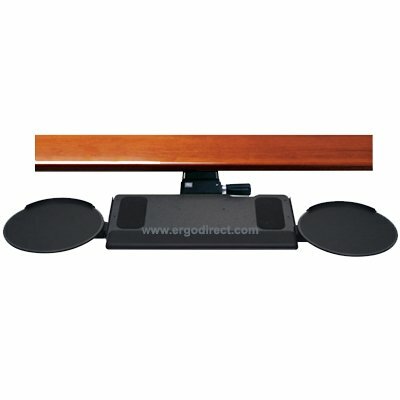 With space for external mouse, the pain arising out of prolonged touchpad usage is prevented. Please contact us at customerservice@ergodirect.com if you need more information about any of these products or if you are looking for volume discounts.